Foreign-trained specialists living in Halifax say it's 'humiliating' that there is no program to assess their skills and allow them to work in the field they've spent decades of their lives in. Foreign-trained specialists living in Halifax say it's "humiliating" that there is no program to assess their skills and allow them to work in the field they've spent decades of their lives in. 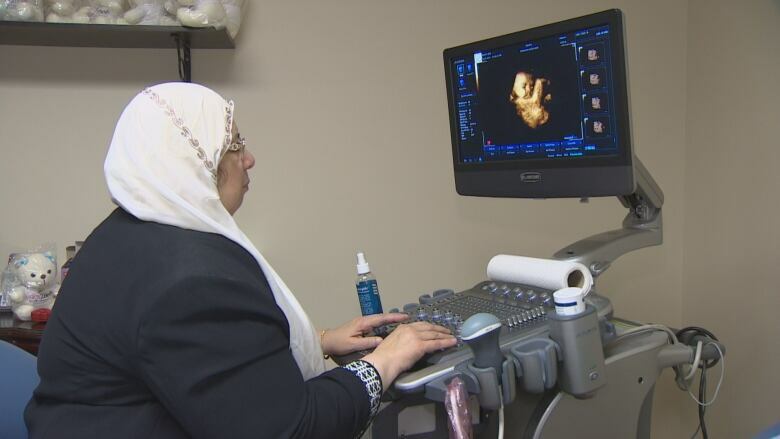 Dr. Layla Abouellail's name will look familiar to some women in Cape Breton because the obstetrician-gynecologist worked in Sydney in 2006 and in 2010. These days, Abouellail can be found just down the street from Halifax's main hospitals. She runs Mom-2-Bee, an entertainment ultrasound clinic for women who want to see 3D images of their babies. She chose that path because it is connected to her career. "It's not fully satisfying for me after I worked in obstetrics all these years. But it is better than nothing," she said. 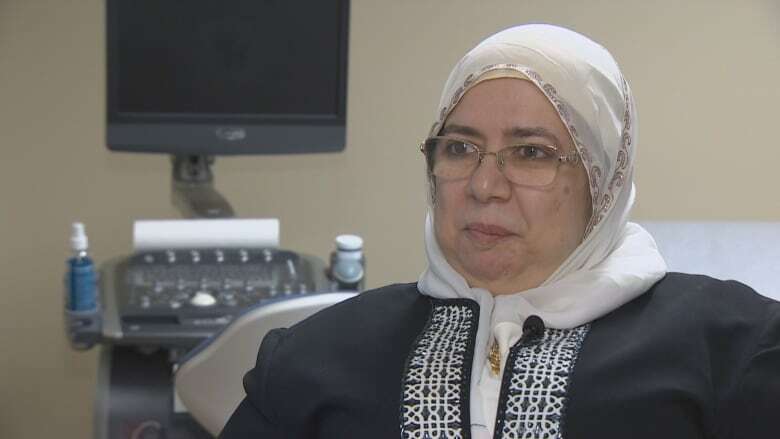 Her husband, Dr. Amr Nassrat, was a trained obstetrician-gynecologist in Kuwait, but his Halifax colleagues know him as a real estate investor and landlord. "I feel humiliated," he said of not being able to work in his field. "It's not just surprised, it is more than that." Their journey began in 2006, when Abouellail was first brought to Sydney on a two month locum — a temporary position to help fill a gap. At the end of that term, she said she was offered a permanent job, but turned it down because her family was in the Middle East. Four years later, the obstetrician-gynecologist was back in Sydney for a month. But at the end of her term, she received surprising news. 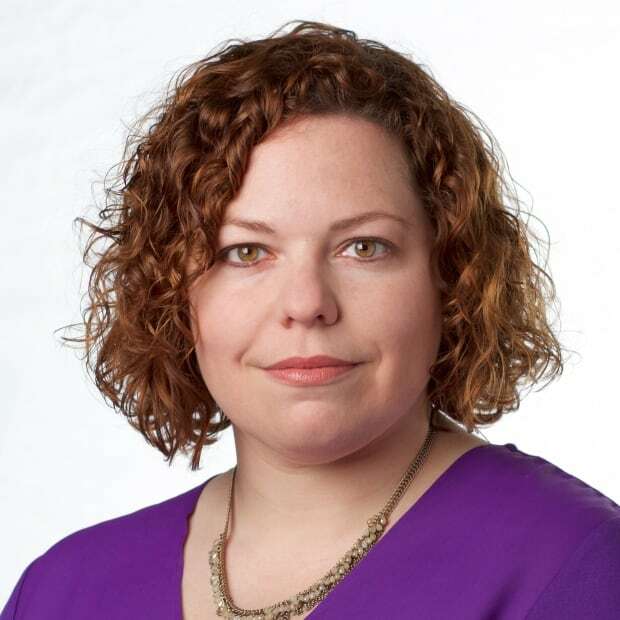 She said the College of Physicians and Surgeons of Nova Scotia told her they were mistaken in granting her a defined licence because she was missing a specific certificate. Without it, she could no longer work in Nova Scotia. "I feel frustrated actually, and I feel sorry for the patients as well," said Abouellail. "When I worked in Sydney, I met patients who are bleeding, and they needed intervention like a hysterectomy or surgery and they cannot get onto the list because of the long waiting time." 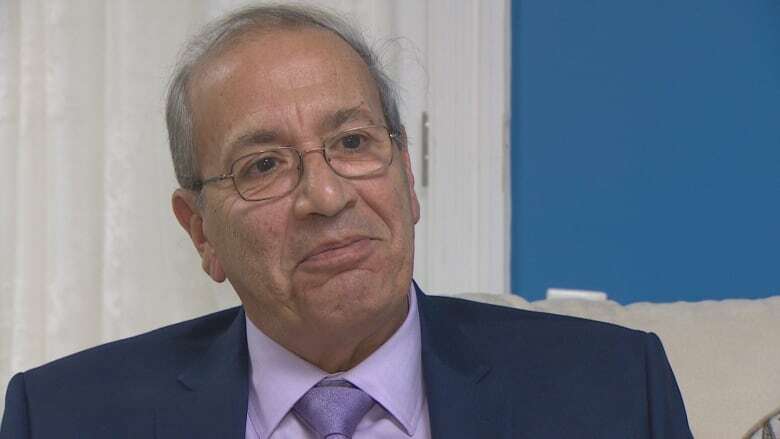 Abouellail was mostly trained in Kuwait but spent some time in Belfast and is a fellow of the Royal College of the United Kingdom. The problem is her timing. She finished work there in 1992. Five years later, the CSST — a special certificate program — was created, she said, and it's the one document she needs to be allowed to work in Nova Scotia. Abouellail's frustrations with trying to work in the province come on the heels of German physician Dr. Erik Steffen voicing similar sentiments. Steffen, an anesthesiologist, wanted to move to Nova Scotia with his family but was unable to get a licence because the province does not currently have a program to assess foreign-trained physicians who come from outside pre-approved jurisdictions. While Abouellail was here the second time, she and her husband decided to try to move to Canada. Nassrat said he also applied to work in the province, but was denied. "It was a rejection from the beginning," he said. But unlike his wife, he was not willing to fight the system. He retired and immigrated to Canada with their children. "I lost huge interest in doing that because of the huge difficulties. I've seen it all around, I've seen it in my wife, so I decided to keep myself busy in real estate. I'm happy with that. I'm not complaining." Abouellail, however, was determined to keep working. Emails from 2011 provided by the doctor show she was offered a three- to six-month clinical assessment at the IWK through the College of Physicians and Surgeons. She was told the assessment could come with a fee of about $15,000, which she was happy to pay. But the offer eventually disappeared. She waited months, and then years for word on when it was to begin, but it never did. In 2014, she received an email from a physician at the IWK that said no such program existed and there were no clear criteria for assessment. At that point, Abouellail gave up. After years of moving around the Middle East and Europe, they had finally found a place to call home. She joined her family in Canada and set up her ultrasound shop. "I go back to Kuwait every few months just to practise medicine because I cannot lose my touch and I cannot lose my expertise that I have gained over 33 years." The College of Physicians and Surgeons of Nova Scotia won't comment on her case, citing confidentiality requirements. It said a national program that would test the skills of foreign-trained doctors should be established by the end of this year at Dalhousie University. The practice-ready assessment has been tested in other provinces but it mostly involves family physicians, not specialists. The college did not respond to further questions from the CBC. In the meantime, Abouellail said it's frustrating to see stories about shortages of specialists. In 2015, St. Martha's Regional Hospital in Antigonish could not deliver babies because of an obstetrician shortage on two occasions. Abouellail says she would have eagerly helped if she could get certified in this province. She's willing to pay any cost to have her skills assessed and cover insurance so she can get back to work. She and her husband agree that a program like that would attract a number of specialists to a region that is struggling to recruit. "I would be very happy to work anywhere in Nova Scotia," she said. "I'm actually waiting for them to be desperate again and someone will tell them, 'Layla is here, try to contact her.'"